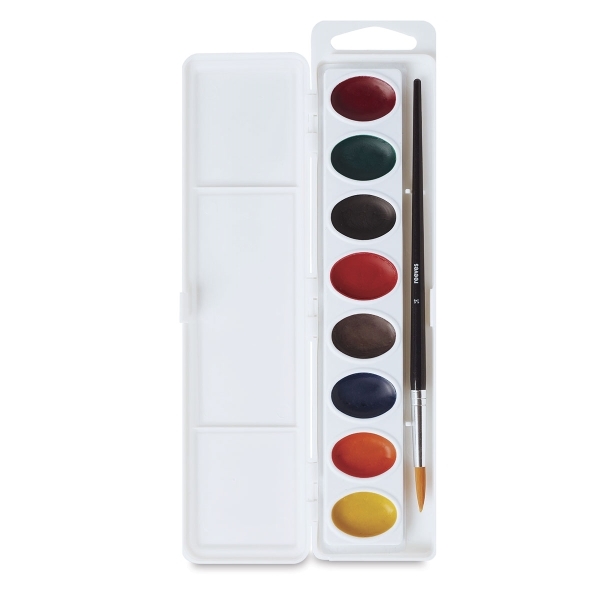 Reeves semi-moist watercolor sets come with a plastic mixing tray and a nylon brush, making them excellent for outdoor sketching. These good-quality watercolors are manufactured with pure, finely ground pigments in a gum solution, then formed into cakes. 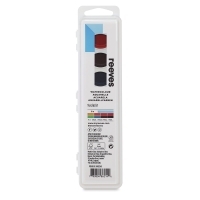 ® Reeves is a registered trademark.